In 2008, I went to Africa with the intent to impact gender inequality for girls, but with no real blueprint for how we could achieve this. I can’t say there weren’t a few obstacles along the way, but our focus never wavered and we managed to get through each roadblock we faced. This International Women’s Day, I’m reflecting on all that we’ve achieved in the last 10 years. It takes time to build a business from scratch, and providing equal opportunities for girls living in extreme poverty has been One Girl Can’s business for 10 years now. My biggest takeaway from this recent trip to Kenya is the hard evidence that our model is working. 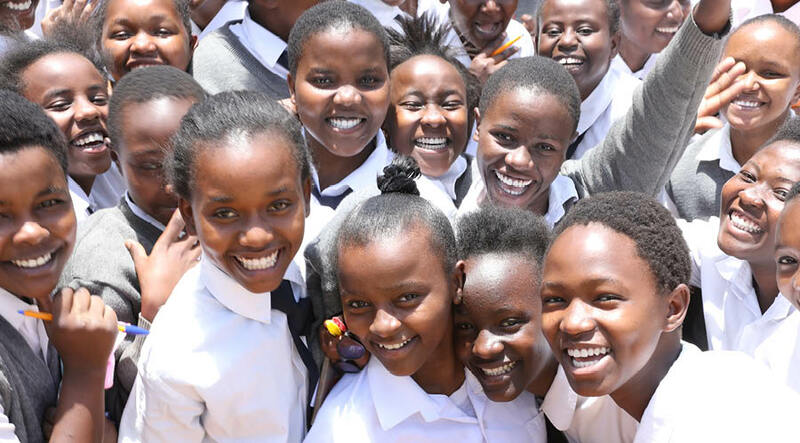 We’ve added 3 more high schools to our network, capping off our involvement and commitment to 8 schools in Kenya and 1 in Uganda, with a combined population of almost 5500 girls. 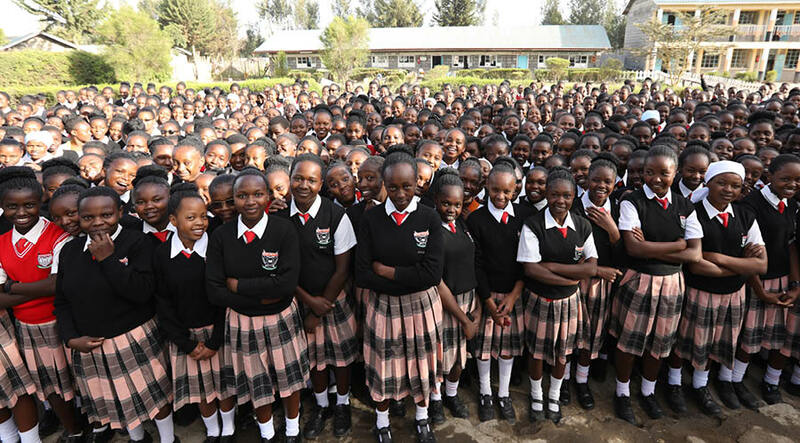 220 bright, eager girls recently earned scholarships to attend these schools. These scholarships don’t just alleviate financial stress for the parents; without them, these girls simply would not go to school at all. But the best part of this particular trip was the fact that we were able to provide full university scholarships for 61 girls graduating from these schools. 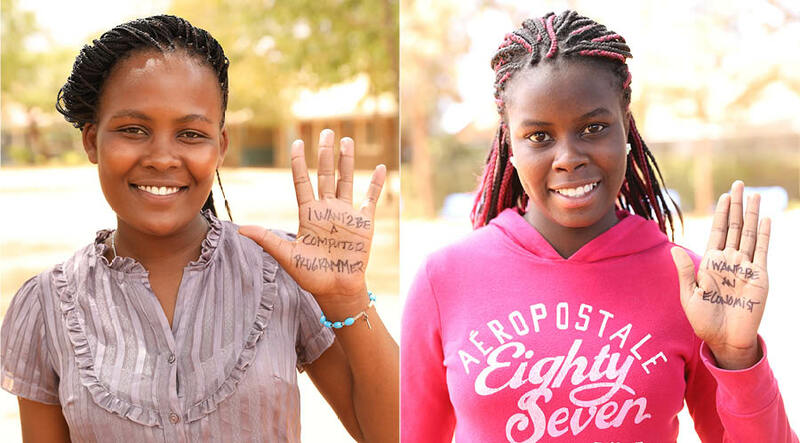 That’s double the intake last year, for a total of 130 girls now attending university with One Girl Can. We visited 8 schools in 8 days. Each day the new graduates made their way to their former high school from their rural villages to receive their acceptance letters, and to find out what this scholarship would offer them. I learned that there are very few private scholarships offered in Kenya, and those who win them must achieve straight A’s. Only one girl from our 8 schools won such a scholarship. For the others, there is a $750 university loan available, but this isn’t even close to enough. When we told our university girls we would provide them with a full scholarship, a laptop and a monthly stipend to cover their living expenses, they went completely silent and stared out at us with wide eyes. By covering these basic expenses, we ensure that girls devote their time and energy to studying, live in a safe place, and avoid engaging in risky relationships and activities to pay their bills. We won’t truly be able to assess our ultimate success rate until these girls graduate and begin their careers, but there are many indications that we are already having an impact. 1. 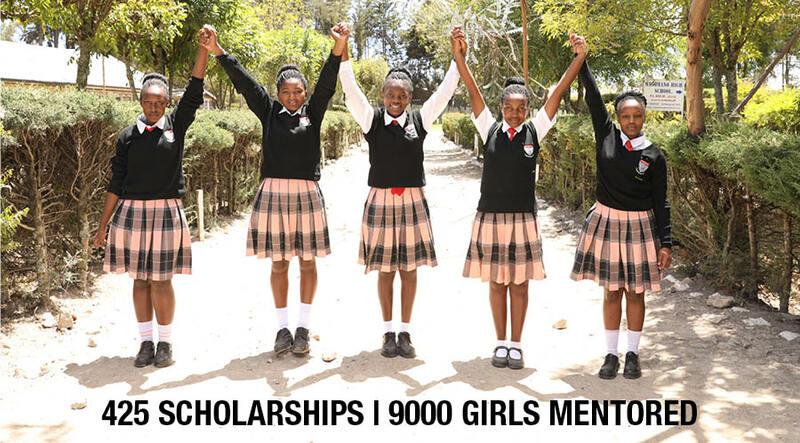 Since introducing our university scholarship program, we’ve seen a significant increase in the number of girls qualifying. The allure of university is motivating the girls to become more driven and focused in their studies. 2. Our goal-setting and career development workshops are now in their 2nd year. Students attending the next level are enthusiastically using the tools we’ve taught them and are hungry for coaching on how to achieve more goals. Girls that were once too shy to hold eye contact and speak audibly are now sharing their hopes and dreams with conviction. 3. If there was measure for human enthusiasm, it would be off the charts at our high schools. Providing the opportunity has nurtured a culture of hope and inspiration that you can feel the moment you step onto campus. So few opportunities are available to these girls living in extreme poverty, and they’ve recognized that what we’re offering is rare. Their enthusiasm drives our resolve to do more. 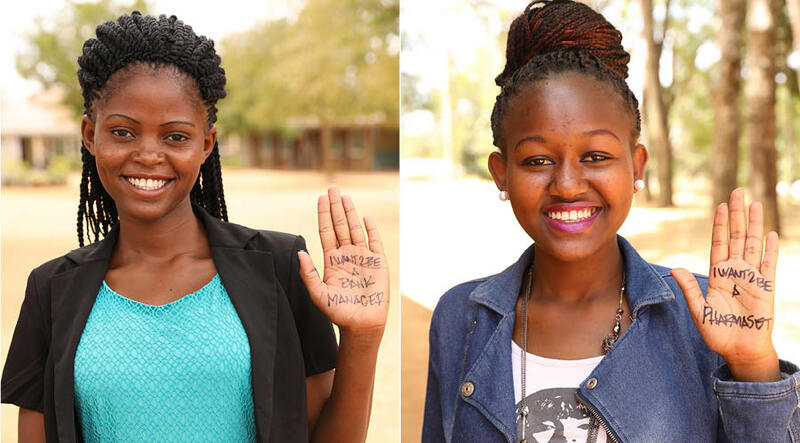 61 university scholarships will not be enough at the rate these girls are propelling themselves towards better grades. If you’d like to help shift gender inequality, please sponsor a girl in Africa and help her become everything she’s capable of being. She will create the change we all want to see. Click here for more.